The Cult of Ghoul: 17.03.2010. I veliki greše. A kad greše, onda greše NAVELIKO. 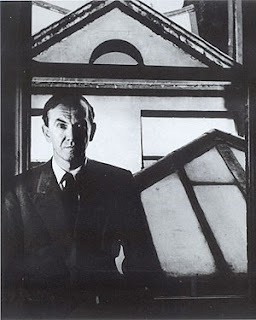 Nedavno mi je u šake pala zbirka filmskih kritika koje je Grejem Grin objavljivao krajem 1930-ih, namely: Graham Greene Collected Film Criticism 1935-1939. Uz sve poštovanje prema njemu kao piscu, ne može se baš reći da se proslavio kao kritičar, niti mogu ovu knjigu preporučiti nikome sem baš najkatoličkijim Grinofilima. 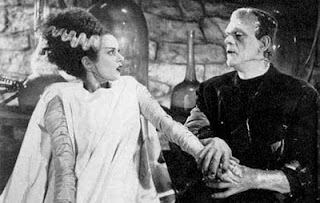 Ono što mi je posebno privuklo pažnju jeste Grinov neverovatno strog , negativan i promašen pogled na jedan od najsavršenijih i najbezgrešnijih horor filmova svih vremena, The Bride of Frankenstein. 'Ajde sad što je to meni lično beskrajno zabavan i drag film, i što od mene ima čistu pet minus (sic! ), nego je to danas toliko neprikosnoven klasik žanra, i filmske umetnosti uopšte, da ga čak i najnemaštovitiji, najkonvencionalniji mediokriteti poput Halivela ocenjuju maksimalnim ocenama (Hallywell, inače, pati od akutne nesklonosti hororu, i Nevesta je jedan od možda 5 ili 6 filmova ukupno, ikada, kojima je dao čistu **** kao maksimalnu ocenu u svom bezveznom filmskom vodiču). 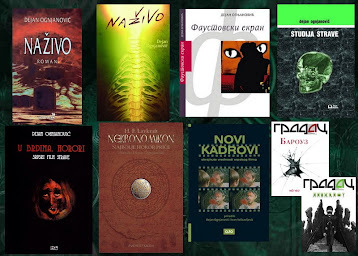 OCR-ovao sam taj prikaz, a kao kontrast njemu nudim Grinove kritike nekih značajno inferiornijih hororčića kojima se on, pak, oduševio – Orlakove ruke (solidan, natprosečan za svoje vreme, ali daleko od klasika Nevestinog statusa) i Crna soba (danas praktično zaboravljeni, minorni Karlofov film). Kao što to moj kolega Dejan Dabić često ima običaj da ponovi, a ja se s njim slažem i ovde ga prafraziram – može neko da bude beskrajno inteligentan, talentovan, zabavan, duhovit, da piše mega-zanimljive tekstove o filmu, da sipa informacije i kvalifikacije iz rukava, da barata faktima, da prosipa filozofiju sve u 16 u svojim napisima – ali ako ne ume da prepozna vrednost, istog časa kada se ova pojavi (dakle, ne u retrospektu, kada godine i decenije pokažu šta je šta) – džaba mu sve: on nije pravi kritičar. Znači: ovde je Rodos – skači! Grin se, sudeći po dole-navedenim kritikama, udavio – barem kao filmski kritičar. Srećom, to mu nije bila osnovna vokacija, i kao prozni pisac se više nego iskupio. Poor harmless Mary Shelley, when she dreamed that she was watched by pale, yellow, speculative eyes between the curtains of her bed, set in motion a vast machinery of actors, of sound systems and trick shots and yes-men. It rolls on in­definitely, that first dream and the first elaboration of it in her novel, Frankenstein, gathering silliness and solemnity as it goes; presently, I have no doubt, it will be colour-shot and televised; later in the Brave New World to become a smelly. But the one genuine moment of horror, when Mrs Shelley saw the yellow eyes, vanished long ago; and there is nothing in The Bride of Frankenstein at the Tivoli to scare a child. But it is unfair to Mrs Shelley to include the old school tie among the horrors in her little head. Baron Frankenstein wears it with his Harris tweeds, and his school crest is embroidered on his dressing-gown. Mr Colin Clive acts the part with a sturdy old Rugbeian flavour ('This heart won't do,' he says to a rather scrubby fag, 'fetch me another'), which was more suitable to Journey's End than a Gothic romance. This is a pompous, badly acted film, full of absurd anachronisms and in­consistencies. It owes its one moment of excitement less to its director than to the strange electric beauty of Miss Elsa Lanchester as Frankenstein's second monster. Her scared vivid face, like the salamander of Mr De La Mare's poem, her bush of hardly human hair, might really have been created by means of the storm-swept kites and the lightning flash. Every now and then Hollywood produces without any blast of publicity a comedy of astonishing intelligence and finish. The Trunk Mystery is one of these: it ought to take its place immediately with the classics. 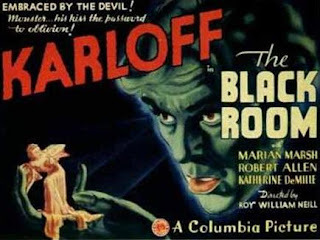 A young Wyoming farmer (Mr Franchot Tone), who has come to New York in the hope of finding a brunette to marry, happens to look through the connecting door of his hotel room and sees a dead body on the floor. By the time the manager has been found, the body has disappeared and no one will admit that he can have seen it. With the help of a telephone girl, played in her best silly boy-crazy way by Miss Una Merkel, he sets out to solve the mystery. There is a body, death is somewhere in the background, but what matters is the witty dialogue, the quick intelligent acting of Mr Tone and Miss Merkel, who juggle death so expertly and amusingly between them. One is used to death as a horror, one is used to it as a cypher (the body found stabbed in the library in Chapter One): death as a joke is less familiar; it bathes the film in an atmosphere fantastic, daring and pleasantly heartless. Hands of Orlac is one of those horror films that Mr Shortt,* the head of that curious body of film censors rumoured to consist of retired Army officers and elderly ladies of no occupation, has declared his intention of banning. I don't quite know why. If a horror film is bad, as The Bride of Frankenstein was bad, it isn't horrible at all and may be quite a good joke; if it is a good film, why should Mr Shortt narrow so puritanically the scope of an art? Can we no longer enjoy with clear consciences the stories of Dr M. R. James? It may be sexual perversity which leads us to sneak The Turn of the Screw out of a locked drawer, when all the house is abed, but must our pet vice be denied all satisfaction? Guiltily I admit to liking Hands of Orlac because it did make me shudder a little when Dr Gogol grafted the hands of a guillotined murderer on to the smashed stumps of Orlac, the great pianist whose hands had been destroyed in a railway accident, and because Herr Karl Freund's romantic direction did 'put across' the agreeable little tale of how the dead murderer's fingers retained a life of their own, the gift of knife-throwing, an inclination to murder. 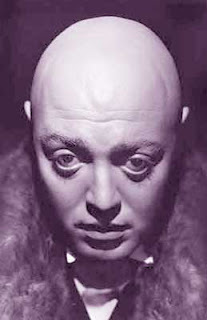 It would have been a thousand pities, too, if Mr Shortt's rigid good taste had prevented us enjoying the performance of Mr Peter Lorre as Dr Gogol. Mr Lorre, with every physical handicap, can convince you of the good­ness, the starved tenderness, of his vice-entangled souls. Those marbly pupils in the pasty spherical face are like the eye-pieces of a microscope through which you can see laid flat on the slide the entangled mind of a man: love and lust, nobility and perversity, hatred of itself and despair jumping out at you from the jelly. * The Rt Hon. 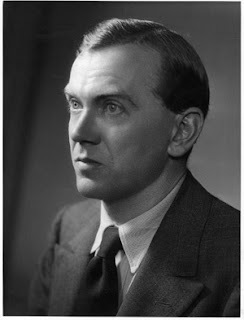 Edward Shortt, then Chairman of the British Board of Film Censors. Mr Boris Karloff has been allowed to act at last. Like the late Lon Chaney, he reached stardom with the sole assistance of the make-up man. Any face would have done as well on a big body, and any actor could have produced the short barks and guttural rumbles, the stiff, stuffed sawdust gestures, which was all his parts required of him. A Karloff scenario must have made curious reading. Were those howls phonetically expressed? One pictures the Karloff arriving in his luxurious car for a hard day's grunting at the studio, the hasty study of the part in the dressing-room while one eye is blacked out and all his teeth disappear, the dreadful moment when the distinguished actor forgets his part, whether this time he has to bark or rumble, at last the stately gollywog entrance under the lights. . . . But in The Raven Mr Karlolf was allowed a few minutes of ordinary speech before his face was mutilated and his tongue paralysed and we discovered that he had an expressive voice and a sense of pathos. In The Black Room he is given a long speaking part at last. I liked this wildly artificial film, in which Karloff acts both a wicked central European count and his virtuous, cultured twin of the Byronic period. A curse rests on the family to the effect that the younger twin will kill the elder in 'the black room" of the castle. The room is bricked up by their father, but there is a secret entrance known to the elder brother, the wicked Count, who lives in the traditional atmosphere of boarhounds and wenches (when he finishes with a girl he flings her body down a kind of oubliette in the black room). At last, to escape the wrath of the peasants and the curse as well, he murders his younger brother, who is distinguished from him physically by a paralysed arm, and takes his place. The story follows a natural Gothic course, the deception is discovered at the altar when he is about to marry the young, pale, 'proper' heroine, he is pursued to the castle by the enraged peasants, takes refuge in the black room and is knocked into the pit by his brother's dog, falling on the dagger which sticks up through the rotting corpse. Karloff is not quite at ease with virtue, suavity and good looks, but he gives a very spirited per­formance as the wicked Count and carries the whole film, so far as acting is concerned, on his own shoulders.